The amazing growth in mobile apps has been recently catalogued on Smart Insights, but if you're thinking of going on this journey to develop your own App for your products, brand or company, it can feel like an uphill task with various elements to consider and various costing options attached to it. I wish I could say it's easy but there a little more to it to make this happen. Ever since Apple introduced the ability to allow developers to build apps on their devices and the launch of the App store, individuals and companies have rushed through the gates to build all kinds of Apps which you now see available on the App store. This post gives my recommended steps/tips to help you in starting the journey to developing and launching your own app on the App store based on my experience of following this path in 2010. You have probably had the several conversations with your colleagues about how your ideas could become an iPhone App, it is an exciting challenge and can be very rewarding to see your own product/idea/brand take life on the App store. Developing a successful app may be a group effort as there are different types of roles involved including designing, coding, marketing, finance and project management. This post will refer to Apple mobile devices which include the iPhone, iTouch and the iPad. What Makes a Successful App "€“ brainstorm your ideas? 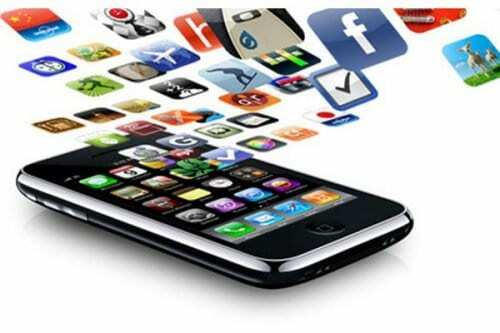 The more successful Apps have a good idea, very easy to use, the graphics look good and are well marketed. There many categories now available on the App store from games, business, education, productivity and much more. Here are some questions you can ask to start brainstorming this with your team. Does your app idea solve a unique problem? Does your app serve a specific niche? What value will your App bring to your audience? Will it make people laugh? Are you building a better App than one that exists already in the App store? Will the it be highly interactive? How will your app present information to your audience? Smart Insights also have these tips from publisher Kim Watson on ideas for app development. In the early stages avoid trying to come up with an App for the wider market, the more accurately you can define your target audience, the better as it will allows you to focus on the design and functions of the App. It is always worth scanning the Apple store to see the popular Apps and you can download the top ten Apps in each category to explore further. If you have an Apple mobile device you can download an app called Position App which gives you a very useful insight into the top 300 Apps by different countries. Start thinking about your target audience, what kind of users are they (beginner, intermediate, experienced), who they are (male or female, teenagers, business people....). Think about how they use your application at the end of every day, every time they check their email, or whenever they have a few extra moments. Spending time identifying your target audience will provide you with clarity when it comes to selecting the features and design for your App. With the release of new Apple devices like the iPad the interest from customers has kept growing at a rapid pace, but unfortunately in most cases so have development costs. It"€™s no surprise that iPhone/iPad developers are short on supply and high on demand. There are several options you can consider which can be put into two categories either to develop internally or externally. Hire a Contractor; There are a number experienced contractors in the local market place that could work onsite to help develop your App. The challenge is to build a well defined project brief and plan as this is very important due the hourly costs being high and planning time required for modifications and updates. Using a Specialist Mobile App Company; You can now find boutique development companies that focus only on developing and launching mobile apps. Some companies that specifically work on the Apple iOS platforms can offer you a flat project rate which covers the full development of your App. Outsourcing to Virtual Freelancers; Similar to hiring a contractor you could outsource to a freelancer anywhere in the world using sites like ELance or Upwork, where it is possible get upcoming developers at very good rates. Outsourcing has it"€™s own advantages and disadvantage with the big advantage being price, you can set a flat budget and have developers bid proposals for the project. General checks for going external would be to review their portfoilio, find out what exactly their role was in the portfoilio of projects presented, ask for sample code, find out what their development schedule/back log of work is, possible start dates, testing process, how long it will take them to develop your App. There are two possible options to look at here, if you have your own technical developers that can program in Objective C, you could write an iPhone App yourself. 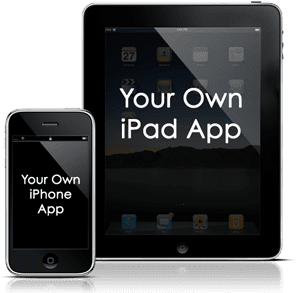 If you go down this route you need to download and install the iPhone SDK after joining the Apple developer program which is also the channel where your apps can eventually be submitted and distributed to the App store. Apple have a dedicated website for developers which gives you access to the technical resources in the iPhone/iPad Development Center. This includes getting access to the SDK, developer tools, getting started videos, documentation, sample code, and more. Once you have joined, you"€™ll have access to the tools necessary for developing, debugging, and most importantly distributing your applications for Apple mobile devices. There are three options for joining Individual ($99), Company account ($99) or the Enterprise program ($299). If you choose an Individual account, all of these tools can only be accessed by one person. With a Company account you can add team members who will be able to log in to the Developer Program Portal and gain access to the SDK and other related development tools. If there is a team working on your projects, a company account is definitely the better option. The Enterprise program has the same features as the previous two accounts but is designed to allow large companies to create and distribute in-house applications within an organisation without going through the App Store. If you are planning on selling your App, once you have signed up for the program, you will need to provide personal and banking information before you can submit paid applications to the App Store. Apples mobile devices have a certain style, navigation and user experience which is important to follow as users are accustomed to the look and behavior. They have invested serious time and resources into creating simple and usable navigation as proved my two and half year old daughter who can pick up my iPad and use it without any instructions. The standard user interface elements are there so follow their recommended uses as often as possible so your users will be able to pick up your App and feel comfortable with it quickly. Think about how to oragnise your information on screen, how much do you need to present to the user and take advantage of the mobile devices unique characteristics: the accelerometer, swiping features, pinch, expand and rotate functions. Be sure to avoid design mistakes. "€¢ What information does your audience need to see on each screen? "€¢ How can you navigate your users from point A to point B to point C? The iPad is one of the fastest growing computer devices with over a million sold in less than a month after shipping and over 3 million by the end of the third month. Don"€™t treat the design of iphone same as the design of the iPad as you will not be able to take advantage of the iPad features and miss out on a lot of design opportunities. The iPad is not a big iPhone! There are a huge number of Apps submitted every week and all Apps are either approved or rejected. You will need to allow from one to three weeks for approval and if your App is rejected you will have to get to the back of the line and re-submit. To avoid getting your App rejected make sure your App description is exactly what it does and developed in the official SDK or tool which Apple accepts. The App will be tested so make sure you test and check it thoroughly so it doesn"€™t crash! There are two categories you can choose when submitting, the Primary Category menu determines where your application appears in iTunes. Your app will appear as a new release and in some cases, the category is also displayed below the app icon and name. The Secondary Category is optional and only comes into play with the iTunes Power Search feature. Apple will send you a very simple email saying your app is approved. Once your app goes live you can start tracking sales, managing users, and sending out promo codes. All of this can be done through your developer account, which gives you access. Setting relevant categories, good screen shots and attractive/interesting descriptions all contribute in getting approval as well as being very important when it comes to marketing. Tell the user exactly what they need to know before they hit the buy button. Put your main features at the top and keep each item on the list simple and concise. Your customer should be able to skim this in seconds. The days are gone where you could just throw your app on the app store and get noticed as there are now tens of thousands of apps and many competing with each other. It is easy for your App to sit in the App store and not be visible to your potential audience so you need avoid this happening and start building the buzz before the launch through your online and offline channels "€“ let your customers and partners know of the upcoming release date. The marketing principles have not changed; even the successful apps have done their marketing through some of the techniques below. Some of the best Apps have engaged a community to attract users and build up loyalty. Incorporating social media has become a popular function within apps especially with gaming if users make the high score they can to post it to Facebook or Twitter. Think about how your App can incorporate social media and build that functionality into your app at a minimum you could set up a fan page for your app on Facebook and Twitter account to use them as platforms to communicate with your audience as well as getting valuable feedback. As you would physically walk into a store and try out your next gadget before your purchase, the same model for your App is helpful from a customers point of view. Many individuals and companies have discovered success by providing a free version of their application. A potential customer can then try your App with no obligation and upgrade to the paid version if they find the App relevant and useful to them. The user needs and incentive to upgrade, you can offer more features, more content, additional game levels, and other items that enhances their user experience. People will pay for the added value. Some Apps use negative stimulus to convert the free user into a paid one i.e. Ads which can be annoying and take up precious screen real estate, so some people are willing to pay to get rid of them. Using advertising as an incentive has a side benefit: Ad revenue can contribute to your income while people evaluate your app. In some cases, the money earned from mobile ads alone is enough to pay for development efforts. It works best with apps that get regular use: advertisers like repeated exposure. You typically get paid according to how many ads you show, so repeated use increases your earnings. To use this technique you will need to build two versions of your App. One is a "€œFree"€ or "€œLite"€ version, and the other is a "€œPremium"€ or "€œPro"€ version. You will need to make it clear to the potential customer that one version is a subset of the other. It is part of the requirement form Apple that free demo versions are fully functional. You can"€™t have any features that get disabled over time. These free applications must also be useful in their own right and the customer should not feel forced to upgrade. Apple will provide daily and weekly sales reports through your online account. These reports are not your actual sales but are an indication of the number of downloads by country. If you plan to sell your app, you need to provide Apple with tax and banking details. If your App becomes popular and you get excellent reviews, make sure you put it at the top of your description which will help further downloads of your App! This could be a very exciting venture if you are setting out to do this for the first time. It is useful break up the whole process into small steps and keep the momentum going. If you believe in your iPhone App idea passionately, there are many ways you can go about bringing it to life so explore all the options and talk to the developers, you may be surprised at the potential collaboration opportunities and the speed and costs it could happen at! Are you thinking of developing you"€™re an iPhone/iPad App? Is there an App you wished that existed? Have you already developed and Launched your own App?